Last Friday night at Spirit, I nearly felt over-saturated by all the great music that was in the air. The evening marked the release of Pittsburgh band Delicious Pastries' long-awaited sophomore CD Aleatoric Delay. But before the band went on, there were three other bands starting off the evening with solid blends of noisy, edgy rock and pop. Butterbirds were playing as I arrived, but from what I could gather, they were only a song or two into their set. The four-piece was definitely catchy and tight, with a healthy sprinkle of quirk added to their songs via weird vocal tricks. Maybe it was the influence of the Pixies, maybe it was Of Montreal, either way I don't can't say definitively. But it was a good time. Shaky Shrines were up next, getting a little heavier and a tad psychedelic. They kind of took me back to Plan 9, a psych band that came here back in the late '80s, since they're singer had a huge mess of hair and beard, they had a female keyboard player who sang back-up and they were filled out by several more clean-cut guys (relatively speaking). I saw a couple singles and a CD on the merch table but didn't get a chance to pick them up. They're things to look for at Sound Cat or Mind Cure. The only other time I've seen Meeting of Important People was when they played stripped down and semi-acoustic, opening for Dean Wareham. It was good to see them in their full, electric glory. It's also easy to see why these guys have generated buzz around town beyond the indie club scene. They're really tight, like they've really worked meticulously on their arrangements. Before they got that far, they wrote some really strong songs too. Plus their onstage demeanor seemed really genuine and appreciative of the attention they were getting. A band with this kind of draw could turn into a bunch of big shots, but they seem like good eggs. So how do you follow all of that? Between those three bands and a piece of pizza (recommended) and a few of the usual gin-and-club-sodas, I felt like I had reached sonic saturation. But leaving then would be have wrong. Sometimes standing in front of the stage while the band sets up can give you an extra feeling of excitement for what's to come. Personally, this feeling dates back to a show at the Electric Banana in 1987 by Sonic Youth. This was back when the band didn't have a stage crew, so Lee and Thurston tuned all of the guitars themselves, onstage, studiously watching the tuner and then setting the instrument to the side before getting to the next one. That memory, along with memories of other bands chatting with audience members while tuning or setting up - it all increases the anticipation. That same feeling was in the air as Delicious Pastries set up. (Incidentally, if you want to find out more about the band, here's my City Paper article on them from last week.) In part because it took awhile for this party to get started. The usual sextet had another guitarist sitting in (bringing the number of onstage six-stringers to four), plus another trumpet player and a quartet of ladies who added to the Exploding Plastic Inevitable feeling of the evening. The video at the top of this entry comes from the start of the set, part of an extended introduction. The ladies stood at the back of the stage, in front of the video projection, for just the first song. (They videos continued for the duration of the set.) When it kicked in they each held up a glittery circle, which complemented drummer Jesse Ley's glittery pants. The visuals and that big start were both fairly epic and grandiose, living up to the suspense they had created. Despite working in such close quarters the band looked really comfortable up there, not cramped at all. Plus all the instruments were pretty clear in the mix, so the wait was worth it. My only problem was feeling a little tired after a few songs. I didn't want to leave so I made my way to the back of the room, where they look of the band reminded me of the back over of The Velvet Underground and Nico. With music that feels closer to the higher points of Olivia Tremor Control, I left hoping that these guy will create some ripples beyond the Pennsylvania state border. There is a good quality video on Facebook, under the page for the record release show. Check that out for a few more visuals. 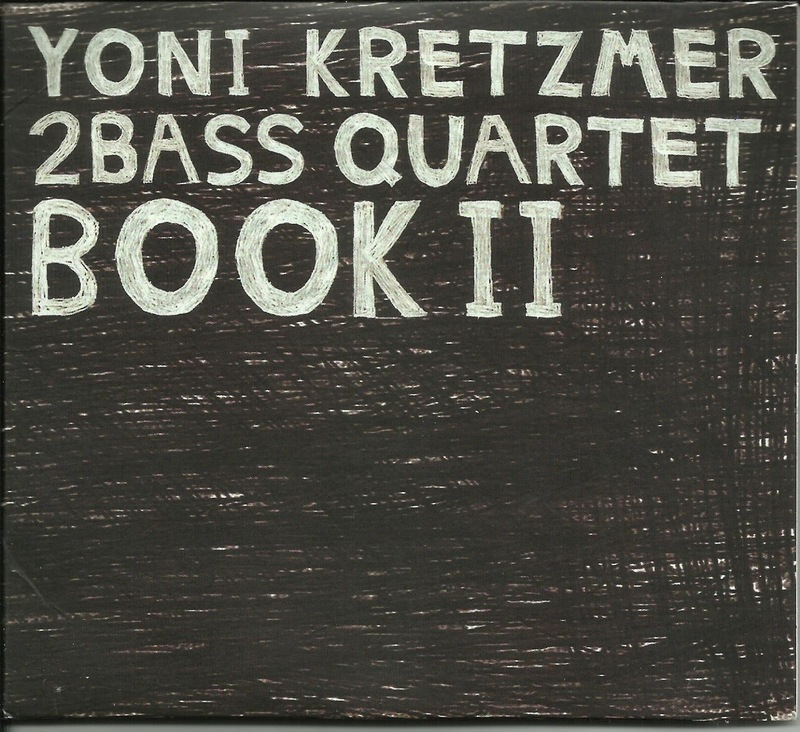 A native of Tel Aviv who's lived in Brooklyn for about five years, Kretzmer follows in the tradition of more recent gale-force wailers like David S. Ware, with roots extending back to the passionate delivery of Albert Ayler. To that end, the album begins with a two-note salvo from the tenor that he bends with heavy vibrato as he holds the notes. It has a spiritual flair to it which announces that this set might be wild and free, but nuance will play a big part of it. The use of two basses plays a significant part in the group's sense of nuance. Panned separately between both channels (with no indication of who is who) Reuben Radding and Sean Conly work together to buttress Kretzmer's playing and add additional color to it. Frequently, one of them bows a countermelody while the other acts as a pizzicato support player. It can be easy to let this music turn muddy with low end sounds, but that's never an issue on this album. Drummer Mike Pride assists in that regard, adding the type of explosions and punctuation that drive the music and add more passion to it. The group had been together for four years by the time of this recording and the rapport shows in the music. They leave plenty of the music up to chance, but they know how to elevate things rather than pulling it in different directions. "Freezaj" goes for broke in terms of raw energy, bookended by a drum solo and a bass duet. Conversely, "Stick Tune" starts in a frenzy and then drops down dynamically, where a slow theme reveals itself before the quartet slowly builds back up to a loud joyful climax. Throughout, Kretzmer plays with an arresting blend of low, throaty notes (with a rich tone that betrays a musical knowledge that extends beyond just his wild forefathers) and he exemplifies the same level of command in the upper register of his horn. "Ballad" might not be exactly romantic in the traditional sense, but it takes the mood down and reveals all of Kretzmer's strengths in a directed three-minute blast. 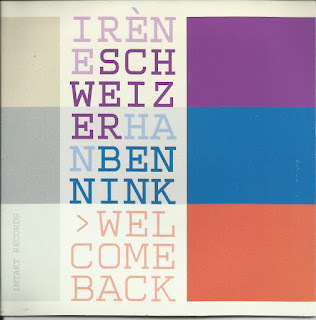 A two-CD set, Book II's second disc is devoted entirely to "Number 4," a nearly 20-minute excursion where the lines between composition and improvisation are hard to discern. 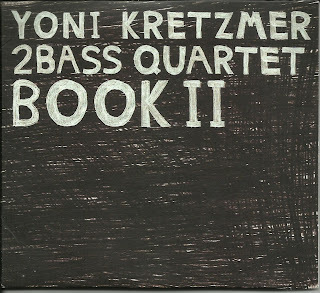 It begins on slightly shaky ground: As the basses and drums roll away, Kretzmer bends the hell out of a two-note trill, running them through every color and reed manipulation, until - after four minutes of this - the rhythm section leaves him alone briefly, and counterattacks with both basses utilizing their bows and plunging the depths. But it all works like an extended free introduction, since Kretzmer returns with a line that puts it all in perspective. (It sounded like Miles Davis' "Four" gets a quick reference from him at one point.) At this point, what might have seemed indulgent makes perfect sense, and what follows never lacks vigor or direction. Good times. I'm a few days late and more than a few dollars short but I feel the need to post an appreciation of Keith Emerson, who died last week in an apparent suicide. His passing is one thing, not completely out of the blue, since he was 71 and for all I know all those wild years of tours might have started to catch up with him. But the fact that it was a suicide lends a bit of tragedy to it. People who commit suicide are not happy, consumed usually by either a mental or physical illness. Being sad is one thing, pulling the trigger means really crossing a dark line. I wish only the best to his family. But I've come to praise Mr. Emerson. I'm not sure exactly when I first heard Emerson, Lake and Palmer's first album, but there's a good chance that I was between the ages of 4 and 6. My oldest brother owned it, and he's 10 years older than me. I was at an age when I had no idea how music was made. I mean I knew my dad was a bassist and knew that he created music. But in listening to records, all my aural reference points were usually non-musical. So the opening fuzz bass of "The Barbarian" made me think of an electric razor. And the idea of a musical instrument approximating that was way cool. So I was into that album from the first note, literally. But that song got better. Emerson's Hammond organ sounded so vicious. So much so that when he switched to piano in the middle, it almost sounded comical, in the best possible way. One of the magical things about that album was that, not being able to read the cover, I had no idea where one song ended and the next began. So "Take a Pebble," which goes from a folk song to a piano solo to a breakdown that morphs into a handclapping jam, and then goes in reverse, just felt magical. When that final verse came around, it always felt like another song. "Knife Edge" continued the rockist side. Greg Lake's vocal always felt a tad menacing during the verses,and I loved the way the dynamics shifted when the organ kicked in. Then in the middle, the classical break reminded me of church. Incidentally I just discovered the remastered version of this song on youtube, where the tape isn't shut off at the end, which on the original record created the sound of the music melting into molten lava (what I always envisioned back in the day, since the sound was so eerie). It was cool to hear it a different way, but they were wise to end it the way they did. Then there's "The Three Fates," Emerson's trio of keyboard spotlights, going from a heavy Royal Festival Hall Organ into a piano solo to a frantic piano trio. It was kind of creepy and eerie, especially those low, low organ notes but I couldn't get enough of it. In the ELP canon, their debut might not be their most highly regarded work, but it's one that I go back to every six months or so. I also pull out Trilogy occasionally, the album that inspired me to deck out my bedroom with my own vision of Emerson's keyboard arsenal, and pretend to play along like I was him. But that first album has more staying power. Part of it probably has to do with hearing it so young and going back to that mental space where nothing in the world mattered except music, and the wilder the better. Another thing might be that the group was in their early stages - they supposedly didn't have a full set of material when they went into the studio - and they were discovering all of their capabilities and you share in their excitement by listening. I still feel that anytime I put that record on. Of course, ELP later turned bombastic. Their pretension supposedly inspired the creation of punk rock. But I just read in an article about Emerson that even John Lydon himself eventually became friends with the master keyboardist. And as time went on Keith seemed to maintain a good measure of humility about his work, at least in more recent interviews. So I respect him for that as well. I haven't been inside the August Wilson Center for African American Culture since Pharoah Sanders played there over six years ago. Funding problems almost closed the place in the past couple years, but it appears to be solvent, at least for the moment. I hope so because it's a beautiful, massive building, named for an amazing Pittsburgh playwright. Lizz Wright performed there last Saturday night. If the idea of her rich voice wasn't enough to create some opening suspense, she made a mysterious entrance, walking out of the shadows to center stage, accompanied only by Brannen Temple's drums. Once up at the mike, she started her set with "Nature Boy," bending and curving the melody line with authority. Guitarist Chris Rosser, bassist Nick D'Amato and pianist/organist Dave Cook came out next to play the rest of the set with her. After an opening that was both dynamic and somewhat understated, Wright took things s next, for which slow for the next number, a fact that she even commented on between songs. The 75-minute set did include several down tempo songs, though luckily only a few of them seemed to slow the momentum. And even though the songs were each about five minutes long, she brought things back to life quickly. Her version of Neil Young's "Old Man" was a highlight, especially with a B3 solo by Cook. "Freedom," written by her friend Toshi Reagon, felt passionate and urgent. Wright really got the crowd cooing when she sang a song that was going to appear on her recent Freedom and Surrender album, Roberta Flack's "The First Time Ever I Saw Your Face." It is a great romantic number, but it should be handled carefully, lest it take a one way ticket to Maudlinville. Wright imbued it with the right blend of romance and sensuality, giving her partial ownership of the classic. For the final number of the set, the group went into one of the covers that did appear on the Freedom album, the Bee Gees' "To Love Somebody." Their version had a down home, churchy feeling, at a tempo the song hasn't seen since Janie Joplin covered it. Wright, though, didn't turn it into the soul exorcism that Janis did, with horns and distraught wails. She kept the gospel feeling in it, which made sense after the band segued into "Surrender," the album's closing song and the one that was made to bring the house down at the end of the night. And that it did. Even without the choir that backed her on the album. There might have been an encore, but my eight-year-old sidekick was ready to go at the point, so we decided to beat the traffic and scram. Incidentally, Kente Arts Alliance, who presented the show, will be bringing the Sun Ra Arkestra to town in September. Melissa Aldana has received a nice amount of buzz in recent times. She won the Thelonious Monk International Jazz Saxophone Competition in 2013, at the relatively young age of 24. An album with her Crash Trio appeared on Concord Records a year later, which kicked the media attention into high gear. Jazz, of course, loves a young lion, especially a female who is not a singer. But minutes into her newest album with the trio, it's clear that Aldana is more than just a young media sensation. The Chilean native possesses a tone with a richness and depth that combines with a sharp melodic sense. Having discovered Sonny Rollins at the age of 6, she has already taken the time to absorb his music and realizes how to channel his lessons into her own idiosyncratic authority. The open quality of a tenor/bass/drums format puts a player's chops to the test, and Aldana proves her tenacity but what she plays and what she doesn't play. Bassist Pablo Menares and drummer Jochen Rueckert accompany her in a manner that keeps the structure close at hand. Sometimes she floats over them, with a lithe tone that seems to contemplate the variety of moves she can make. In "Obstacles," written by Rueckert, she starts off restrained, going against the rhythm section's brisk tempo. Eventually, she catches up, adding some fast arpeggios to wrap up her solo. She ends "En Otro Lugar" with some long tones, which she bends slightly, adding a few upper register squeaks as a final statement. 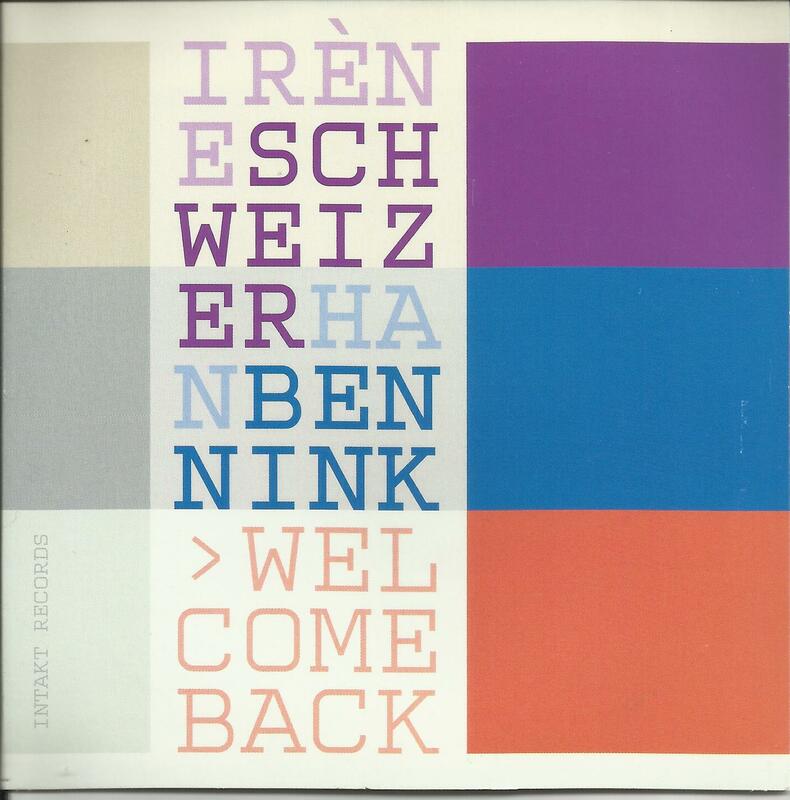 Back Home features compositions from all three trio members (Aldana wrote four, her mates each contributed two). The sole cover is Kurt Weill's "My Ship" which she delivers in a classic tenor mold: deep tone, full of breath that plays up its lyrical quality. Wisely, perhaps, the group keeps it simple, with a theme and just a bit of embellishment before taking it out. Aldana's own compositions often sound like familiar themes that offer surprise when they take different turns. The opening phrases of "Time" begins like a classic ballad that has been played umpteen times. But the saxophonist creates a new line, with some rubato accompaniment from Menares and Rueckert, whose mallets and cymbal rolls give it a muscular opening. Aldana wisely put the title track at the end of the album. Here, she sounds closest to Rollins, with a boppish line that offers yet another update to a straightahead style. By this time, there's no doubt that Aldana's new path links with tradition but won't be limited to just that. Jeff "Tain" Watts might have left Pittsburgh more than three decades ago, playing with Wynton and Branford Marsalis and temporarily landing a gig on The Tonight Show, but he hasn't forgotten his roots. Not his jazz roots, his hometown roots. This was plain to see before he even took stage at the Kelly-Strayhorn Theater last Saturday. The front head of his bass drum was emblazoned with the Pittsburgh Steelers logo. Watts engaged the audience between songs with a rapport that was casual and amusing, like an old friend. It made the two-hour show fly by, never seeming like it was anywhere near that long. The band also included Pittsburgh native David Budway on piano, along with bassist Yunior Terry Cabrera and tenor saxophonist Troy Roberts. They started the evening started with a reading of Thelonious Monk's "Brilliant Corners," one of the few non-originals of the night. When Monk recorded the piece, he forced his bandmates to switch into double-time at unpredictable moments. Watts had the group start the head with a heavy 4/4 backbeat, move to double- and then triple-time. The sound during the early part of the set didn't give Budway a fair representation, but he displayed a playful quality in his solo, as did Roberts. To keep the focus on the music, Watts frequently introduced groups of four tunes in advance, so the group dug into them. "Farley Strange" gave Budway a chance to do some more Monk-like piano figures. "May 15, 2011" was a slow ballad in which Watts himself took the place of Frank McComb, who sang it on the Blue, Vol. 1 album. The performance displayed a great lyric, with a genuine sentimentality not always heard in modern ballads. And though Watts downplayed his vocal chops, he delivered it convincingly. Late in the set, an audience member goaded Watts to play a solo. It was surprising up to that point that he hadn't really taken one. Although his work throughout the set came with a lot of intense punctuation, flash was not the order of the evening. The emphasis was on Watts the composer and bandleader. One song, which I think was titled "Snarkasm" was inspired by snarky, sarcastic people. Watts warned, "it's jive" as he set up the song. And while the melody was strong, he was right about the intro and outro, in which he copped a snooty voice as he "sang" it. Maybe it was just a bit too silly, but the crowd loved it. The evening's final pack of songs went from wild "Brain Lifter" to a rich ballad dedicated to Watts' late mother. As promised to the loud member of the audience, this section fulfilled the drum solo quota, and it got reverent in the final moments. The sold-out crowd went wild.